Qualcomm Technologies, KDDI Corporation, and NEC Platforms have introduced first commercially available draft 802.11ax carrier gateway. The BL1000HW is scheduled for delivery to KDDI home subscribers in Japan in March 2018. 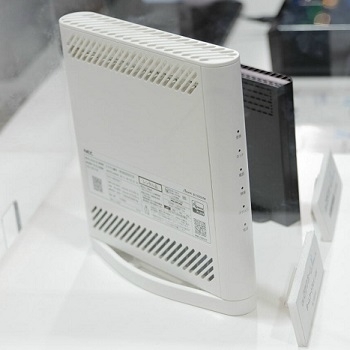 It is based on Qualcomms’ IPQ807x family of 802.11ax chipsets, and designed by NEC Platforms. The solution delivers up to 4x higher wireless networking throughput versus previously deployed carrier gateway solutions and delivers better performance for bandwidth-intensive applications and environments. Qualcomm Technologies’ 802.11ax chipset is based on a powerful networking platform that can support up to 10 Gigabits per second (Gbps) wide-area networks and up to 6.5 Gbps peak physical (PHY) layer rates on Wi-Fi. As the industry’s first commercially available 14 nanometer Wi-Fi system on chip (SoC), the IPQ8072 is designed to improve the connectivity experience for virtually all users, through its MU-MIMO that allows multiple users to be simultaneously connected to an access point. The platform also features advanced WPA3 encryption to support robust protection of user passwords and stronger privacy in Wi-Fi networks. As consumers’ demand for connected devices and bandwidth hungry applications like video streaming services, and 4K/8K video and VR continues to grow, home Wi-Fi networks have become strained. Qualcomms’ 802.11ax platform is designed to deliver the network efficiency and capacity to improve connected experiences today, as well as optimize for the performance requirements of next-generation carrier gateways and consumer routers. Today’s announcement underscores how worldwide carrier, enterprise and retail customers can build solutions that support more devices in the home, reduce interference and dropped signals and provide one of the best Quality-of-Service for different types of applications – ranging from media streaming to simple temperature control. The carrier gateway platform demonstrates the benefit of broadband updates to 10G-EPON by matching multi-Giga WAN with multi-Giga Wi-Fi capacities. 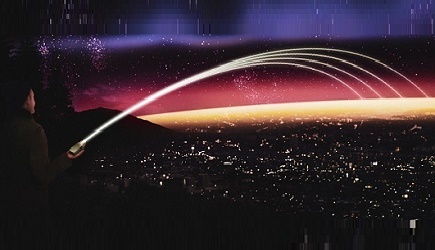 Although the benefits will be greatest for 802.11ax-based devices, the carrier gateway platform will also improve the performance of legacy devices utilizing the previous 802.11ac technologies.